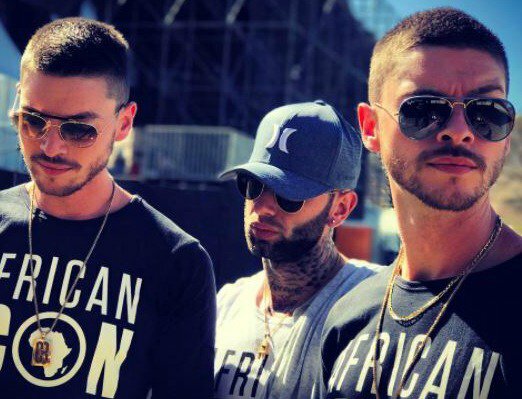 South African music duo Locnville is celebrating after their smash hit 'Cold Shoulder' hit gold status. The twin brothers shared the news on their Instagram account. "WE GOLD!!!! Such a proud moment. THANK YOU #GoldStatus," the duo wrote. 'Cold Shoulder' was produced by Sketchy Bongo, who is also behind hits such as 'Back to the Beach' and 'Let You Know'. Sketchy Bongo's latest track with Kaien Cruz, 'Love Me in the Dark', is also making waves on SA music charts. Keep the hits coming, boys! WE GOLD!!!! 🏆🏆🏆🏆🚀🚀🚀🚀 Thank you @warnermusicsa ! !